What a great day of soccer. Every soccer day is great. But today was special as sixteen co-ed teams assembled for a memorial tournament for Julia Turner. It was organized by a friend on fairly short notice and was a smash success. Julia was a Welland Notre Dame student who passed away during Christmas time of 2011 after a short battle with cancer. Her illness and passing deeply affected her entire age group, all over Welland. To describe her quickly, I would say she was a very nice girl from a very nice family. Her friend, Sam, had the idea for the tournament and got 16 co-ed teams to participate. The event supported The Hope Centre , a project that Julia's family supports. The venue was the set of mini-fields at the Welland Soccer Club. All the game officials (12) volunteered their time and the club happily supported the cause with the use of the fields. Julia and her sister Jackie were both travel level players at one point. Sam and her parents are long time members of the club. I was lucky enough to officiate four games today and witness the fun, first hand. A local butcher shop set up a BBQ there and forwarded profits towards the cause. People were dropping in all day to check out the action, have some food and catch up with friends. Today was very touching. I saw so many people eager to help Sam and she did a great job keeping everything and everybody organized. With a determined young lady at the helm, the event exceeded all expectations. All those kids spending the day together was a good thing. Sam's parents and friends were very proud of her efforts. Not even a crazy night of rain would damper anybody's spirits. It was nice watching all of these familiar players get a chance to play their favourite sport away from the confines of league rules, coaches, etc. They mocked up their own uniforms and just played for the sake of playing. My son Anthony played on a team with a bunch of friends. I hope this tournament happens again. The cause is just, the inspiration is strong and the leadership is solid. Building a program forces you to find a way to have systematic development, long-term vision and tangible short-term results coexist. 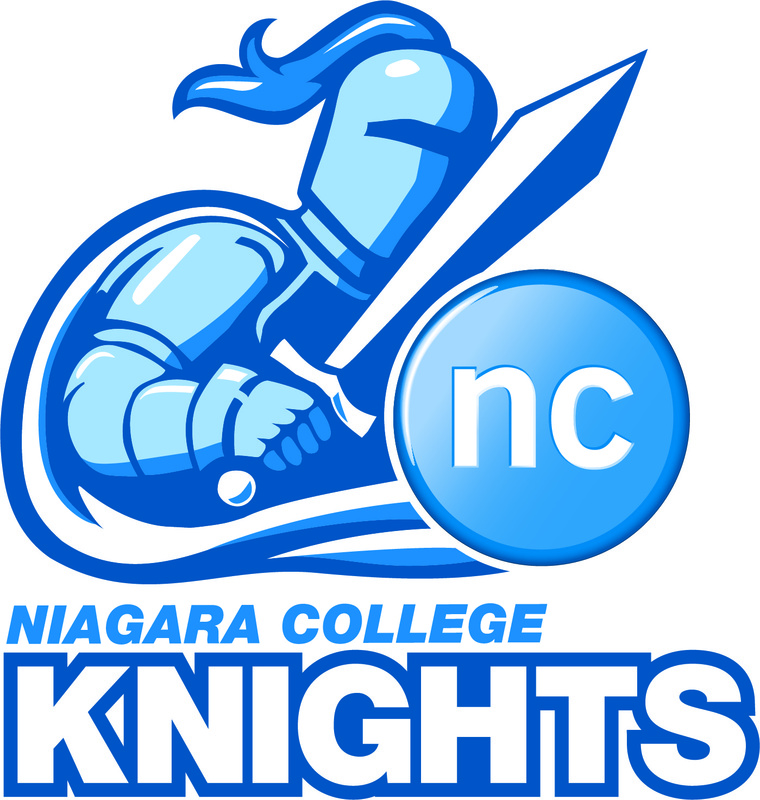 Having taken over Niagara College's mens team this year, I had a vision of building a soccer culture with good people at the helm. 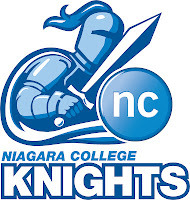 At Niagara we have a medium size student body as far as Ontario College's go. The population is split between two campuses so drawing the students from the other campus will be difficult if there is not something valuable for them to come for. The stage is set to develop a strong soccer culture at school. The previous coaches were solid people who built good relationships between the former players and the school itself. The college now sees athletics as a positive marketing vehicle for the school brand and with that comes institutional backing. The support system at school is solid. The international student population grows annually. There is staff to tend to most needs including administrative duties, academic advice and Athletic Therapists. We have a bit of a hurdle for one year as we are training off campus. The Welland Soccer Club is hosting our training and is a great facility, but it's still off campus. So far, it hasn't caused a major problem. My main focus was finding the right group of coaches and I think that's in place. Our main assistant has University and Semi-Professional playing experience and is currently coaching a premier men's team. He is a full time college employee and every connection to the school helps. Our part time assistant has Premier Men's and University playing experience and 20+ years as a coach. He is also the friend who got me into coaching in 1989 and continues to be a mentor figure for me. Our goalkeeping coach has semi-professional playing experience and has amassed a great deal of training and experience as a coach. He has also witnessed the training his own daughter has received as part of the national program and retains a lot of what he's learned. An added bonus has been the addition of a women's team coach who has International and NCAA playing and coaching experience. She has some good insight and often gives me points to ponder when we talk. I find myself picking people's brains every chance I get. I want an environment where experienced people want to come out when they can and lend a hand because they love the game and are impressed by what we are doing. The vision will take some time and I believe in it. My only concern was getting some positive results to keep people interested. We've been playing well so far, making progress and the guys know it, but a win eludes us. This year we are fortunate to have a great group of players who remain supportive of each other. The attendance at sessions has been fantastic and we are seeing good moments as a team and individuals. This season is short, 8 games plus playoffs. Right now we are 2 losses and 2 ties. We have 4 games left. Every day brings something better. The system and philosophy will be cemented for next season, but I think we are far enough this year to yield some results. Just as we sit 0-2-2 we could easily be 2-1-1. I did not want the job if I was going to start from scratch and piece together a new team every year. I want a system in place where players move in and out of and the attitude is carried over from year to year. At the end of the season we will have to evaluate how things look and if it needs to be adjusted for the realities of Ontario colleges, where students are in program ranging from 1-4 years. We will also have to sit down with our bosses at school to see if they are happy where the program is headed. For now, I am going to stick to my guns. If all works out, next year we will not start from scratch but just find new pieces for the system already in place. Is it ever a referee's fault when you don't win? Sometimes the official is blamed for not winning a game. There are weak officials out there, but can you ever really lay the blame on a referee? I don't think you can. Let's take an example from this past weekend. We were involved in a game where the official was less than perfect. Our game ended 5-5. A college soccer game should never end 5-5. There were frustrations, but as an athlete you have to keep your eye on the prize. The officials are another condition around a game like the field, weather, fans, missing players or other factors. You have to manage what you can control and manage them according to the conditions. Every referee has tendencies that you have to read and work around. Your job as a coach is to look past everything and see what's really going on. Our first conceded goal was a penalty kick. Nothing to do there. A high ball through the middle was inadvertently headed backward by a midfielder, caught our defenders off guard and a hard tackle was laid during the chase. Can't blame the ref. The second goal was the result of a pressuring defender not being supported and a pass sneaking in behind him to the goal scorer. The referee did not cause this. Their third goal was off a free kick in front of our box that was the result of a dive (the kid's 4th on the day). But on the free kick, our wall split and the ball passed through on the way to the net. Not the referee's fault. He may have let the player's diving continue and made the call against us instead of cautioning the player, but the wall splitting was our doing, not his. Their fourth goal was off another free kick from the same kid diving. This was off to the corner of the penalty area. Again, you can fault the ref for not cautioning the player and awarding another free kick, but it was not the ref's fault that the ball passed by two of our players to an unmarked opponent on the far post. Their fifth goal was the result of a player having the ball too long, at the top of our box, with his back to the net while his teammate cut through unmarked , taking a pass and scoring. We were then down a man for the last 15 minutes as one of our players was awarded a second yellow on a collision (with the same player diving). That player kept playing, and very well, while ours was on the outside of the fence looking in. At the end of it all, down a man, we scored 2 goals in the last 10 minutes to earn a point. Watching the game on video showed me that we were certainly the away team, but that's life. And it also showed that more focus on the game and learning to not be distracted by other factors would have helped us at certain instances. If we blame the ref for the result, then the guys think he's the sole problem and we have nothing to work on. And think, this is my opinion from our bench. I am sure their coach thought something wasn't perfect as we also scored five goals, 2 from set pieces. He would also do his team a disservice if he blamed the ref and didn't address that his team was beat twice on restarts and allowed 2 late goals with an extra player. If we go over each goal conceded, we have plenty to work on, and that is where our next two sessions are going. We did a lot of things very, very well. Scoring 5 goals in a game is good stuff. Playing through frustrations and coming back to salvage the day was a fantastic moment for the guys. Lamenting on game conditions would only tarnish the good things we can take away. Our next two sessions will revolve around 1v1, small group and team defending. The guys did their jerseys a great service yesterday and they knew it. And addressing the issues that caused our goals will make us even better.